Flowers play a significant role in creating atmosphere on your wedding day. In fact, it’s the most flowers you are ever likely to purchase for a single event in your life. Traditionally, you will need a bouquet for yourself, bouquets for your attendants, boutonnieres for your husband-to-be, groomsmen and fathers, corsages for mothers, and flowers to decorate the ceremony and reception venues. That’s a lot of flowers! The florist you select will be the person responsible for the final look of your wedding flowers, so choosing the right florist, and working well with them, is crucial. Do you want a florist, or a specialist wedding florist? Although all florists are experts in flower arrangements for any occasion, there is another option that may be better suited to breathing life into your wedding floral dream. Florists who specialise in providing flowers for weddings have loads of experience in not just supplying flowers for weddings, but making flowers a work of art and tying them in with your overall wedding theme to enhance the look and feel of your big day. A florist who specialises in weddings may cost a little more, but they usually take on fewer clients in order to devote more time to each event. In your mind, you likely have a very precise picture of what you would like your wedding flowers to look like, but it can be a bit tricky relaying that exact vision to a florist. The key to having your dream perfectly realised is collecting pictures of flower arrangements that catch your eye. Browse wedding magazines for flowers you like, then clip the image and place it in a file to show potential florists. When it comes to social media, Pinterest is a particularly fabulous source of wedding flower ideas. The more information you give a florist, the better chance you have of them understanding your dream. You’re looking for a florist you can trust to take control of your ideas, without taking over and making you feel intimidated. It’s vital you know exactly how much you’re going to spend on your wedding flowers before you make appointments with potential florists. Giving a florist an accurate budget amount allows them to show you what they can realistically accomplish, and avoids embarrassing misunderstandings down the track. So what’s a reasonable amount to spend on flowers? Wedding experts usually recommend spending eight to 10 percent of your total wedding budget on flowers. For example, a wedding costing $20,000 might have a budget of around $2,000 for flowers. The more a florist can take on, the less planning you need to do, so make a list of possible extras and ask potential florists if they can help you out. So, what sort of extras should you ask about? If confetti isn’t allowed at your venue, saying goodbye under a shower of rose petals can be a romantic alternative, and small posies in the reception restrooms add class and a touch of colour. Honoured guests such as grandparents will appreciate lapel flowers or corsages. Also keep in mind some florists can supply candles, ornaments and centrepieces that you can use as decorations. Ideally, you’re looking for experience combined with up-to-date knowledge of the latest trends and techniques when looking at wedding florists. 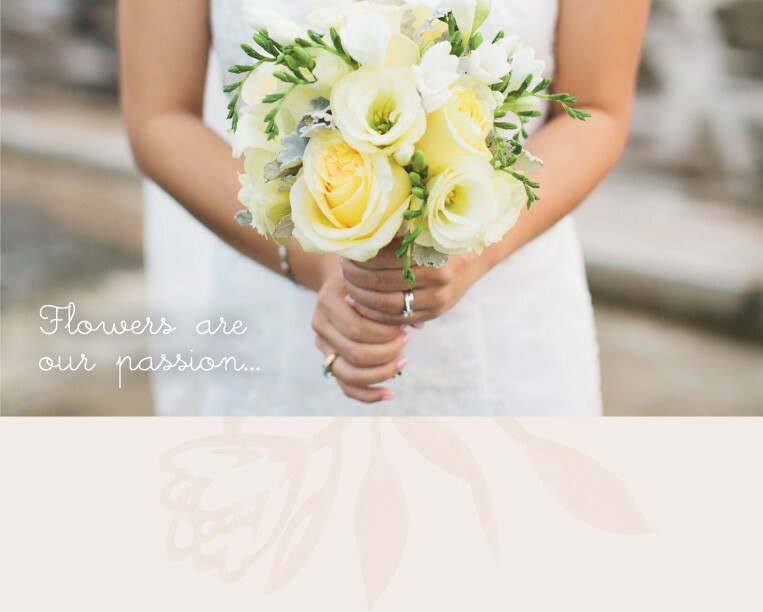 Florists servicing the Hunter region and specialise in wedding flowers will take your vision and make it happen. They will offer advice and suggestions, but still allow you to make the final decisions, so your wedding flowers are the gorgeous creations you imagined.